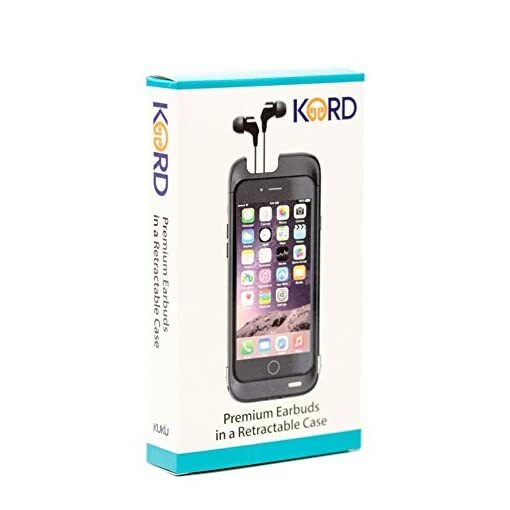 ✔️ PHONE CASE AND EARBUDS TOGETHER AT LAST – Never lose or tangle your wired headset ever again with Kord’s revolutionary retractable earbud case for Apple iPhone 6 and iPhone 6S (4.7″ ONLY). Our thin rubber cord does not rub noisily against clothing while walking or running and winds up easily when not in use. 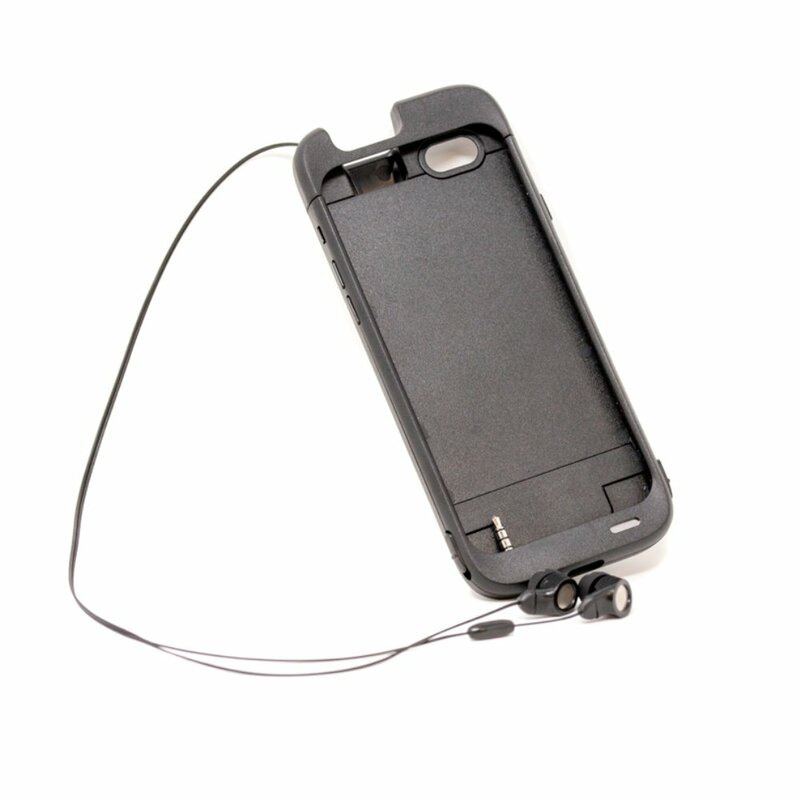 With this hassle free storage solution, your earphones go where your phone goes. ✔️ MILITARY GRADE DROP PROTECTION PHONE CASE – Two shock absorbing layers are drop tested to ensure ultimate protection for your phone. Rigid polycarbonate construction is scratch resistant. Raised edges and precise cutouts protect your screen and camera from scratches and damage as well. ✔️ PREMIUM SOUND QUALITY HEADPHONES – Our in-ear headphones are designed for total immersion in your audio. Experience the difference of advanced noise isolation and dynamic bass for a crisp, powerful stereo sound that goes with you wherever your phone goes. 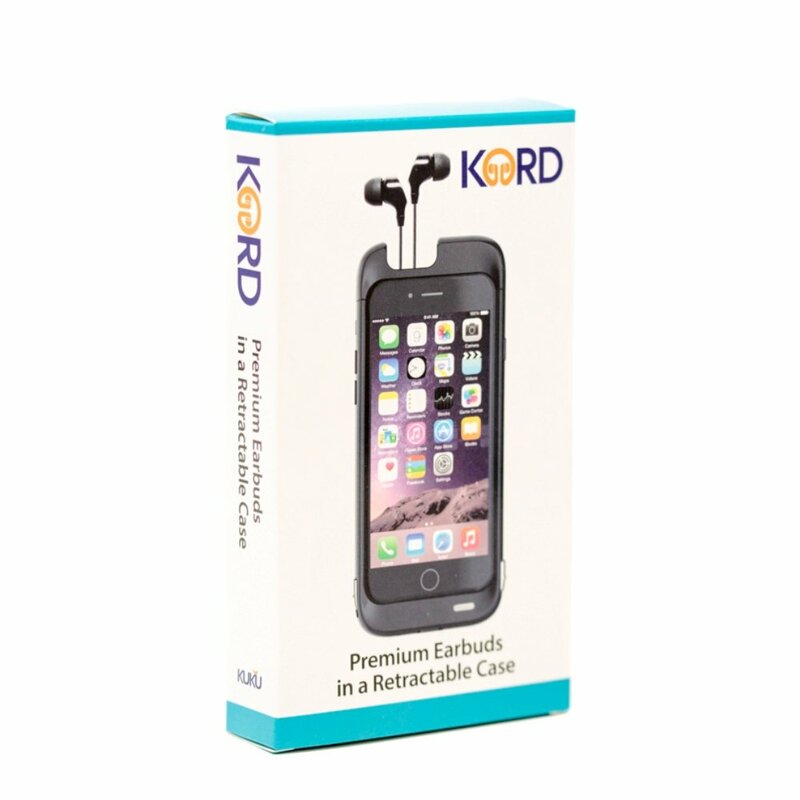 The Kord iPhone 6/6S Phone Case with Retractable Earbuds finally combines headphones with a cell phone case, the way they belong. 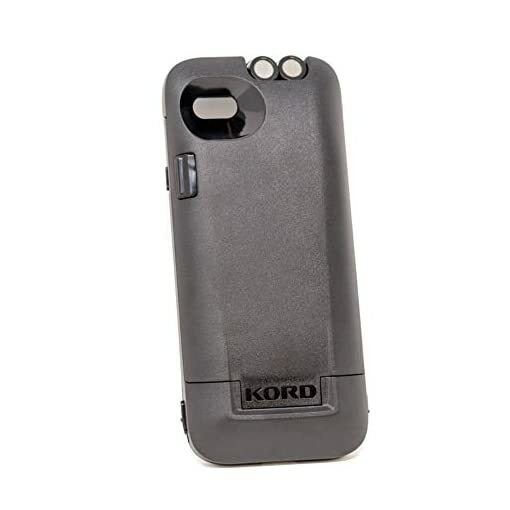 Kord is revolutionizing earbud storage with this unique new phone case. It is a must have phone accessory and makes a great gift. Keep your earbuds where you will never lose them… in your phone case! Our unique storage solution gives you the freedom to listen to music, whenever you want. Just pull the cord, and hit the retract button when you’re done. Your earbuds are always with you! The Kord rigid polycarbonate construction ensures military grade drop protection for your iPhone 6/6S. Raised edges protect your screen and camera from scratches and damage. The matte finish is scratch resistant and will look good for a long time. Our built-in earbuds offer premium sound for your favorite music. You will love the crisp, powerful sound and hi-fi stereo quality. These buds are made to rock! To install on your iPhone 6 or 6S, grab both ends of the case and pull apart. The case easily slides open and pivots for installation. 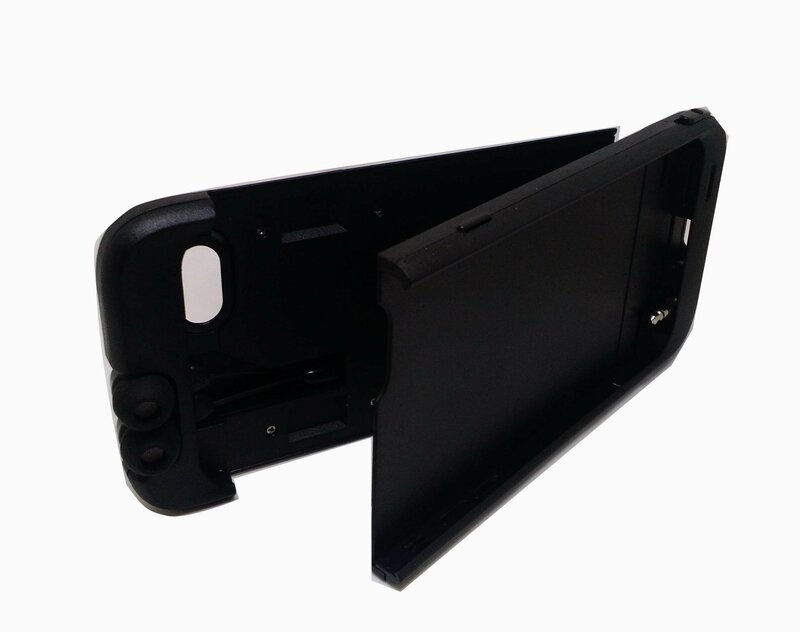 Once phone is inserted, simply slide the case back together and you’re done! ✔️ HANDSFREE HEADSET WITH MIC – An in-line microphone provides for convenient hands free functionality, allowing you to talk on the phone while you walk, cook, drive, or perform other tasks. 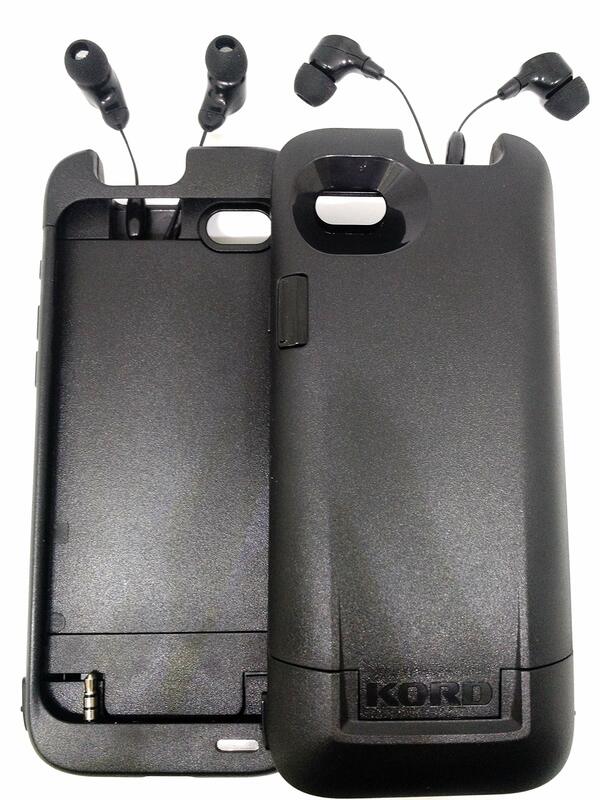 ✔️ SLEEK, STYLISH DESIGN – Stylish and functional, the Kord retractable earbud storage case makes your life easier and the matte black surface looks incredible. 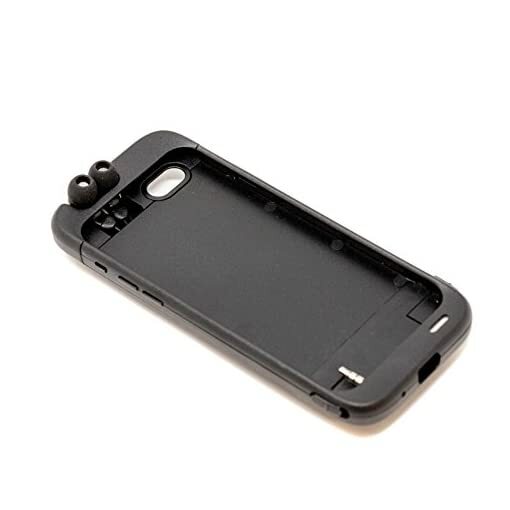 Precise button and port openings ensure optimal phone functionality, while an integrated 3.5mm standard jack plugs easily into your phone by pulling the case apart, inserting your phone, and sliding the case back together.